Part of the Hugo Chaim Adler collection. "This structure was erected in 1851, replacing one that had served the community since 1691. It was built in a Moorish style, lavish with marble oriental runners and a carved elevated pulpit which was used to deliver the sermon. 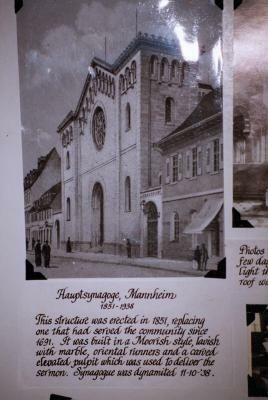 Synagogue was dynamited 11-10-38."